Global Communities is seeking a qualified and experienced Cooperative Specialist and Team Lead for the USAID/Kenya Cooperative Development Program (CDP). 3) improve understanding of the psychosocial behavioral impacts associated with membership in cooperative businesses and determine whether those behaviors contribute positively to household and community resilience strategies. The Cooperative Specialist will report to the USAID/Kenya CDP Chief of Party at Global Communities Headquarters in Silver Spring, Maryland. S/he will be responsible for the management and leadership of program operations in Kenya, and will serve as the Country Program Representative. The Cooperative Specialist and Team Lead will be responsible for providing strategic leadership to the CDP program in Kenya in collaboration with the Chief of Party (COP). The Cooperative Specialist and Team Lead shall be responsible for the management and implementation of in-country operations. The Cooperative Specialist and Team Lead will work with key stakeholders and cooperative partners to develop capacity of cooperatives in the service sectors in collaboration with the CDP Kenya team. S/he will also be responsible for management and oversight of the program’s three core objectives, monitoring the progress, milestones and achievements of the cooperatives over the life of the program, and be responsible for oversight and delivery of program administration including annual and monthly budgets in coordination with the team Finance team. The CDP Cooperative Specialist and Team Lead will be expected to work locally with the Kenya Country Director, and will supervise a team of at least three (3) in-country staff and local consultants to accomplish the work plan. This position will have at least two direct reports and oversee a team of up to five individuals. Critical to this position is a strong functional understanding of the cooperative business model and have a background in working with cooperatives to strengthen their operations, management, financial and governance systems. The successful candidate should be open to working in a nontraditional working environment with remote management and have good communication and cooperation skills. · In coordination with COP represent program in forums and meetings. The duties listed above are not inclusive of all the duties of the position at Global Communities. Global Communities reserves the right to change and update position descriptions at any time. · Bachelor’s degree in Business Administration, Finance, Agriculture, Cooperative Economics or related field of study with at least 10 years of experience working with cooperatives in various sectors including service industry and agriculture to strengthen their business goals. · Oversee and participate in both the Cooperative Legislative Affairs and Policy program implementation as well as the Collaboration, Learning and Adaptive objectives in up to 25 counties in collaboration with country team. · Kenyan National strongly preferred. 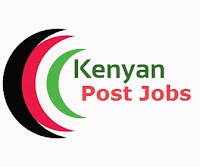 · Based in Nairobi office with travel within and outside the country as required to perform duties. · Able to work at a computer keyboard for extended periods of time. · Responding to program team requirements on an as needed basis by Cooperative Specialist and Team Lead and COP. · Bachelor’s degree in Business Administration, Economics, Political Science, or other social science-related field of study with at least seven (7) years of experience working in the public policy sector, on governance-related donor-funded programs, and/or with local government economic development units. Global Communities is seeking a qualified Collaboration, Learning and Adapting (CLA) Program Officer for the USAID/Kenya Cooperative Development Program (CDP). 3) improve understanding of the psychosocial behavioral impacts associated with membership in CBs in order to determine whether those behaviors contribute positively to household and community resilience strategies. The CLA Program Officer will report to the USAID/Kenya CDP Chief of Party (COP) at Global Communities Headquarters in Silver Spring, Maryland. The CLA Program Officer will be expected to serve as the in-country lead for the development and implementation of a CLA plan under the USAID/Kenya CDP Program. In collaboration with the Program Team Lead and HQ leadership, the CLA Program Officer will engage project staff, project beneficiaries and other stakeholders in identifying, collecting, analyzing and disseminating good practices and lessons learned emerging from program implementation. · Performing administrative duties up to 15% of the time to assist with the writing of reports, communicate with HQ leadership team, and other tasks as assigned. · Excellent writing skills in English required. Proven ability to draft and publish mid to high-level thought provoking, well researched materials. · Ability to meet deadlines under pressure, and work successfully with a diverse team and stakeholders.